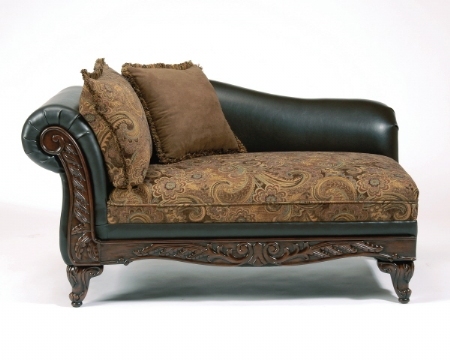 This chaise lounge has a brown wood trim that continues around the base and the decorative carved feet. It features two very flattering pillows. Sofa and Loveseat available upon request.